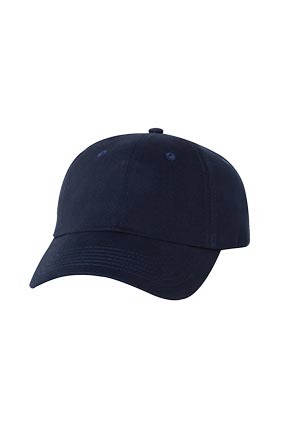 100% cotton lightweight brushed twill cap. Unstructured, low-profile, six-panel. Pre-curved visor. Sewn eyelets. Hook and loop closure.